Mexico has been making other nations' cars like Volkswagens, Chevrolets and Nissans since forever and a day, but we don't tend to think of them as a manufacturer of homegrown cars. Now a new automaker is hoping to make a name for Mexico in the lightweight sports car game. Meet the Vuhl 05 (It's pronounced "Vool," and stands for Vehicles of Ultra High-performance and Lightweight). Revealed in London this morning prior to its official debut at the Goodwood Festival of Speed, it's a track weapon in the vein of the KTM X-Bow or the Lotus 2-Eleven. And it's made by our friendly neighbor to the south, which is pretty awesome. And it's got some impressive performance creds, too. 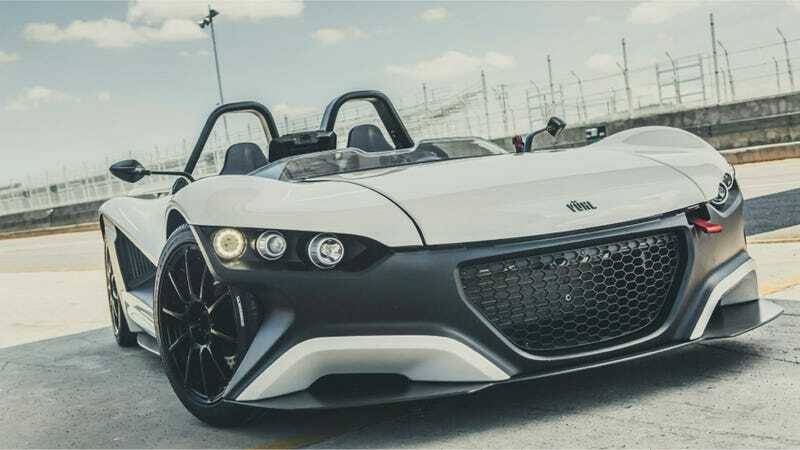 According to PistonHeads, the Vuhl 05 packs the Ford Focus ST's 2.0-liter EcoBoost turbo engine, good here for 285 horsepower and 310 pound feet of torque. Not bad, especially considering the car weighs a smidge over 1,500 pounds. Zero to 60 mph times are quoted at 3.7 seconds, and it only comes with a manual gearbox. It sounds like a pretty international car. The bodies are fabricated in Canada, testing is being done in the U.S. by Michelin, handling was tuned in the UK, and final production is done in Mexico City. PH says Vuhl plans to only make about 50 of the cars per year. Expect sales to start next spring and prices to be around $106,000. Sounds like fun, and a nice addition to Mexico's stable of homegrown sports cars like the Mastretta MXT. Would you become a fool for Vuhl?